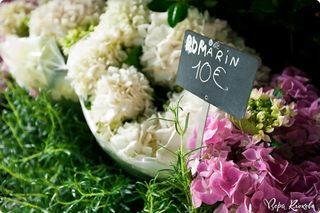 Paris and perfume… These words are synonymous for most perfume lovers, and shortly after creating Bois de Jasmin in 2005, one of my first long articles was devoted to perfume shopping in Paris. Part I and Part II offered a walking tour of the capital’s best fragrant treasures. Since then, I have been meaning to update these posts with a directory of Paris fragrant destinations, based on my visits and new discoveries. This directory will include various perfume shopping destinations as well as my other favorite addresses. The directory is frequently updated, therefore please check back periodically to see new additions, changes and updates. L indicates Left Bank, and R—Right Bank. If you have your own favorite places in Paris, whether perfume, food, fashion or art related, please do not hesitate to share. Of course, if you visit any of these places and have your own experiences (and updates! ), please comment! Middle Eastern style perfume oils, interesting oud blends and rose attars. Amin Kader, a fashion designer, has transformed the fashion boutique into a gorgeous Renaissance fantasy full of frescoes and beautiful architectural details. It carries a full line of Santa Maria Novella products. Although Annick Goutal fragrances are easy enough to find at department stores in Paris, the freestanding boutiques are charming. You can also find there the full collection of excellent Annick Goutal candles as well as book a rose-scented spa treatment at the Annick Goutal Beauty Institute. After visiting Annick Goutal, walk over to the Pierre Hermé patisserie shop to buy some of the best pastries in Paris as well as delicious Christine Ferber jams. NB: Also see Merci listing for Annick Goutal fragrances sold at discount. A rose scented olfactory experience! A florist boutique devoted to everything rose scented–soap, candy, candles, jams, even rose honey, and of course, fresh flowers. The smallest purchase is lovingly decorated with fresh roses and rose petals. The market on rue Cler is one of my favorites in Paris. Le Bon Marché may not have the gloss and glamor of les grands magasins on the Right Bank (Galeries Lafayette and Printemps,) but it has a great and well-edited selection in pretty much every category. Caron has a whole area in the lingerie department, complete with powder puffs and perfume fountains. Le Bon Marché is also less crowded than the other big stores (except during the semiannual sales in January and June.) For a budget conscious shopper, there are also many great choices both in the store itself and in the boutiques nearby. Finally, do not miss its fantastic food emporium, La Grande Épicerie de Paris! Herminie Cadolle invented the brassiere in 1889 by cutting the corset in two. Today, Cadolle still creates some of the most comfortable and beautiful lingerie in Paris. While the prices are as luxurious as the pieces themselves, if you are visiting Chanel across the street, Cadolle is worth a look. Famous urn fragrances, beauty and makeup preparations, gorgeous vanity table accessories and swan down puffs in an array of bright shades. Exclusive fragrances, a full line of scented and cosmetic products. I love rue the Cambon location for the history surrounding it. Knowing that Coco Chanel worked only a couple of floors above adds something special to the place for me. Every time I have made a purchase at the boutique, whether a bottle of perfume or a lipstick, it was beautifully packaged and embellished with Coco’s signature flower, white camellia. A great line of candles and scented home products with unique scents such as the polished wooden floors of Versailles or Indian flower markets. The Comme des Garçons Perfume Shop is devoted to perfumes, scented candles, and incense. The brilliant white design with pink-tinted lighting alone is worth a visit. Dior classics such as Eau Fraîche, Diorling, Diorama and Dioressence can be found here as well as the exclusive collections. Fragrances, home scents, body products. Try their Philosykos shower gel that also doubles as a nice shampoo. A lovely boutique devoted to everything Divine, where the staff is generous with samples. You can also get your bottles refilled. Also, chocolatier Pierre Marcolini is next door. I love Marais, a neighborhood that is home to État Libre d’Orange and its boutique. As such, 69 rue des Archives is often on my itinerary. Excellent niche perfumery at very reasonable prices. Incense, home fragrances, perfumes. The store is very close to Annick Goutal as well as the Stéphanie de Saint-Aignan boutiques. The whole area around Place de la Madeleine is filled with some of the best gourmet boutiques, but Fauchon is where I always stop for teas, jams and chocolates. The full line of Maison Francis Kurkdjian. Personal fragrance services are also available. I prefer Frédéric Malle’s boutique on rue de Grenelle, mostly because I love shoes only slightly less than I love perfume, and rue de Grenelle is renowned for its shoe boutiques. Simply walking down this scenic street is a delight. Both stores have the full line of fragrances, home scents and body products, including their highly fragrant soap. Those who are pressed for time should visit these famous department stores. Niche perfumery is well represented there. Le Printemps de la Beauté is one of my favorite beauty spots. Just beware that both stores can get very crowded, especially during the height of the tourist season. Lafayette Gourmet is a must stop, whether to have a nice lunch or to stock up on delicious gourmand fare. Be sure to ask at your hotel if they have a discount card for either Galeries Lafayette and Le Printemps. Guerlain has several locations in Paris, of which 68, avenue de Champs-Élysées is the most famous. It is the only place where all of the Guerlain extraits de parfum can be sampled, including the ethereally beautiful Chant d’Arômes. It is also possible to smell (although not to purchase) some of the old Guerlain fragrances. I love Kadine (1911,) an ambery floral fragrance. Cachet Juane (1937) is a delicious blend of spicy woods accented with orange. Finally, Ode (1955) is a honeyed floral bouquet reminiscent of Jean Patou Joy. Also, be sure to check out the exquisite home fragrance line (my favorite scent Hiver en Russie is a sweet incense and amber blend.) For a full description of the boutique, please see my Guerlain boutique review. The purple hued boutique where you can smell the famous (and extremely expensive) fragrances. Annick Goutal is next door. Across the street from Annick Goutal and JAR Parfums, there is a mod styled Jean Patou boutique. The selection is limited to currently produced fragrances, although you can also buy their parfum versions. If you have time, I recommend visiting their Perfume Bar (a story of my experience.) Do check opening hours before you visit, since they are currently erratic. Update: sorry to report that the Perfume Bar is no longer open to public. An elegant cream and black boutique devoted to the full range of Jo Malone products. Jovoy fragrance house was founded by Blanche Arvoy in 1923, but today it’s a boutique/concept store that carries an impressive line of niche perfumes. From tiny lines like Nobile 1942 and Maison Dorin to more well-known collections like Amouage and The Different Company. It also has its own line of perfumes. The boutique is very charming, and the service is usually excellent. Exclusive collections, parfum versions of Hermès classics. A beautiful boutique that has fantastic window designs that change with seasons. A tiny store near the entrance to Hotel Costes is the only place where you can find IUNX products designed by perfumer Olivia Giacobetti. It also sells Costes fragrances and home scents. Famous macarons in a wide range of colors and flavors, pastries, cakes and more. I recommend making a reservation for breakfast at their Champs-Élysées location (specify that you want to sit upstairs.) Order hot chocolate and enjoy it while looking out of the window and absorbing the Parisian scene below. Body products and candles are available as well. A full collection of Lanvin fragrances can be found at this pretty blue toned boutique. L’Artisan fragrances can also be found at Le Bon Marché, Franck et Fils, Galeries Lafayette Haussmann and Le Printemps in Paris. MPG fragrances can be discovered at this elegant boutique. Claus Porto, Isabey, Oriza L. Legrand, Lubin, Carven, Robert Piguet, Houbigant, Parfums d’Orsay, Teo Cabanel, Mona di Orio, Parfum d’Empire, Frapin, Vero Profumo, Andy Tauer, Meo Fusciuni, Magnetic Scent, Eutopie, Amorvero, Olfactive Studio, Atelier Cologne, and Hierbas de Ibiza are the lines carried by this boutique. The location in the heart of Marais is fantastic. Created by Clara Molloy, MEMO fragrances capture her childhood memories and favorite travel destinations. The boutique offers the full line, including her excellent 22 Perfumers book (available in English.) Sold at Le Bon Marché and Galeries Lafayette. I love Merci! It is a charming multi-brand, multi-concept store: a flower shop, used book store and café. It is owned by the founders of Bonpoint, a children’s clothing shop, and they sell clothing, fabric and perfume. Now, if you love Annick Goutal fragrances, then it is a place to visit, particularly since it was founded by Annick’s sister Marie-France Cohen. As Denyse shared*, “Passion, L’Eau du Sud, L’Heure Exquise, L’Eau de Camille and L’Eau de Charlotte are sold in plain lab bottles: 22 € for 25ml, 39€ for 50ml, 59€ for 100ml and 119€ for 200ml. If you bring in your own bottle to fill, it’s even cheaper. The store also offers exclusive re-editions of four discontinued Goutal candles: Dans les Foins (hay), Mes Nuits d’été (fig tree), Chine Impériale (smoky tea) and Corsé (spicy), at 29€ for a 175-gram candle in a glass, and 19€ for a refill.” Also, I wanted to mention that Merci is also a not-for-profit operation, with all of its proceeds directed to children’s charities. *Denyse’s posts on shopping in Paris are also a recommended read: Part 1 and Part 2. 17 rue Bonaparte, 6th arr. A dizzying range of oud fragrances as well as other Montale specialties. The staff is friendly and generous with samples. I do not know how many times I have walked past the Nina Ricci boutique before I finally stopped by and discovered that it sells the full line of Ricci classics (including the parfum versions) as well as Coeur-Joie, an exhilarating floral composition created by Germaine Cellier of Robert Piguet Fracas fame. A concept store offering fragrances, cosmetics and home scents. 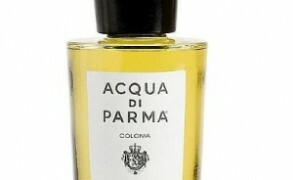 The choice of brands is very wide, from well-known brands like Acqua di Parma to tiny outfits like Tola. Don’t miss L’Atelier de l’éclair next door, a nice place to take a break and enjoy pastries and tea. Patchouli in various guises–the original Reminiscence Patchouli was launched in 1970, while today it also exists in a dark, richer form, Patchouli Elixir. My favorite location is 80, rue de Grenelle, mostly because I love the neighborhood and often stay nearby. The boutique offers a full line of Nicolaï fragrances, bath products and home scents. After visiting Serge Lutens, walk to the end of the gallery to find the tiny, but charming Les Parfums de Rosine boutique. The service is very friendly and helpful. Pierre Hermé’s tiny freestanding boutique is worth a visit for some of the most delicious pastries and macarons in Paris. Often called The Picasso of Pastry, Hermé’s flavor combinations are unusual and surprising : olive oil and vanilla, saffron and apricot, chestnut and coffee, etc. I also love Christine Ferber’s jams, which can be found at his boutique (Ferber, like Hermé, comes from Alsace.) Her blackcurrant-violet jelly, apricot, cherry and raspberry-rose jams are fantastic. Lafayette Gourmet at Galeries Lafayette is another place to find her products. A nicely decorated boutique right next door to Chantal Thomass, a maker of some of the most exquisite lingerie. This relatively new multi-brand boutique offers a fantastic selection of numerous niche lines: Parfums MDCI, by Kilian, Amouage, État Libre d’Orange, Honoré des Prés, Parfumerie Générale, Huitième Art, Phaedon and many others. A good selection of various beauty and perfume lines, including Serge Lutens. Beware, it can be quite crowded! Even if I do not need anything from Serge Lutens, I still never fail to visit the boutique. For one thing, Jardin du Palais Royal is one of my favorite places in Paris. The boutique itself is beautiful and elegant. It is best to ask the staff to help you test fragrances, rather than reach for the bottles yourself; however, this is often the rule in most Paris boutiques. Perfumes, incense, candles by Sonia Rykiel. An inviting, small boutique devoted to Stéphanie de Saint-Aignan. Stéphanie herself is often there. Fragrances by Jean-Claude Ellena and his daughter Celine Ellena. If you’ve visited any of these boutiques, please share your impressions, and in general, I always love hearing about your trips to Paris and new discoveries. carmencanada: Just a couple of update to this excellent itinerary: Evody no longer exists (they’ve converted into a perfume brand), and neither does the stand-alone Memo boutique (they’re available at Le Bon Marché). The Patou boutique is not regularly open (the brand has been sold off) and as far as I know the fragrance bar upstairs is no longer an option. The Cadolle address on the rue Saint-Honoré is not a boutique but the studio for made-to-measure lingerie (the ultimate luxury!) but like you, I warmly recommend their line. Their brassieres are of such fabulous quality I get them repaired rather than retire them! Elizabeth: I’m traveling and shopping vicariously through this post! In my imagination, I am visiting the Palais Royal, picking up a bell jar of Bois de Violette, and then taking a stroll through the gardens. And then I’m going to the Frederic Malle boutique to get a new bottle of L’Eau d’Hiver. Thus stocked up on perfume, time to go to Laduree for some pastries and tea! parisbrunch: Laduree is very clever at hiding they’re a big global brand with outposts in Istanbul and Dubai, opening shops almost daily. They are owned by Paul Boulangerie who make ‘industrial’ macarons for McDonalds. Not a very romantic story when you draw back the lavender velvet curtain with tassels. Victoria: I find that the perfume shops are scattered everywhere in the city. The number of PdN boutiques alone impresses me. I finally started taking notes, because places open up and close and change locations constantly. You have another reason to visit Paris! CL: Wonderful list! I’m in Paris right now and have been exploring 3-4 stores a day. I would agree that Sens Unique is a must-add. Really exciting inventory and the owners really know their perfume. I thought Sephora was absolutely awful– SAs standing shoulder-to-shoulder along the perfume wall and making no real effort to move out of the way. A few of them pretended not to speak French, too, which might endear them to 90% of American shoppers but frustrated me, since my French is perfectly good enough to talk about a bottle of perfume. Colette and CdG are a minute apart and couldn’t be less alike. One a zoo, the other an empty cell. Caron was gorgeous, but I’ve read so many horrified reviews of the reformulations that I was biased against liking anything. Too bad. Even though it’s redundant, I quite like Guerlain’s Champs-Elysees set up. Sephora (with a huge Guerlain section in the front) to the left, bright and open pop-up store in the center, and dark and mysterious guarded boutique to left. Casual shoppers are much more likely to go into Sephora or the pop-up leaving the boutique relatively uncrowded. I love your blog and refer to it very often. I am going to Paris first week of February and plan to use your list. I notice that it was created in 2011. I see that you have updated it occasionally. Would you be so kind and let me know if there is anything not to miss that is not on your list currently?